“AH McDONALD, GOOD FARMER. HE KNOWS WHATS GOOD.” | McServed: Getting Served McDonalds Fast Food Funnies, Laughs and More! 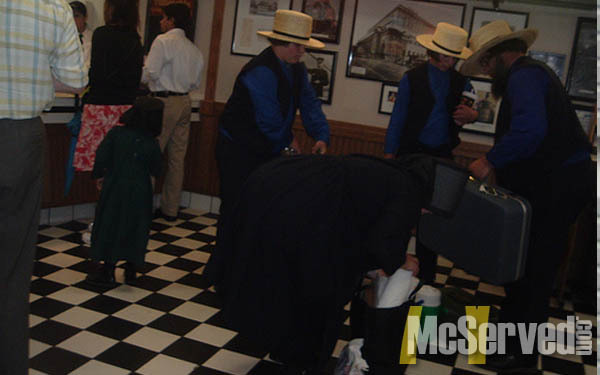 Amish people in a McDonalds in Chicago. I imagine they are serving their 50 piece nuggets to their live stock as cheap food. People, Picturestags: amish, chicago, illinois.